Does the thought of inserting commas into your prose instill dread? Or do you just ignore them because their usage is so confounding? Do you write “ear commas” or “breath commas”—that is, do you place commas wherever they “sound” right or you think the reader may need to pause for breath? 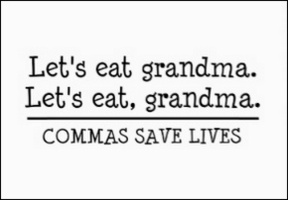 Are you a “grammar comma” writer—hoping your commas will land in the correct spot grammatically? Or are you simply so befuddled by commas that you don’t bother with them at all? In my work as a freelance editor, I’ve seen all of the above. Commas are the most frequently used—and misused—form of punctuation. 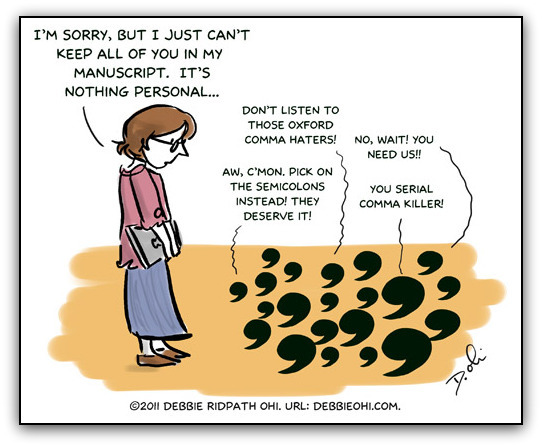 Annually, I receive dozens of requests for editing, and one of the biggest concerns for authors is their comma usage. They may not be aware of dozens of larger issues in their writing, but they are almost always uncertain about their comma placement. Commas are used to indicate pauses and to separate elements in a sentence. Simple, you’d think. So why do they baffle so many writers? One reason may be that so many exceptions to comma rules exist that it hardly seems worth the bother of learning them. Another is that so often comma usage is made to seem complicated, arcane, and pedantic, fraught with eye-glazing discussions on grammar and syntax. Actually, much of that stuff really doesn’t matter, but it’s best to know a few of the terms. So yes, first, we’ll talk just a teensy bit about sentences. I promise—it’s not difficult. Sentences consist of 1) words, 2) phrases, and 3) clauses. An independent clause is nothing more than a complete sentence, which consists of a subject and verb. It can stand on its own. A dependent clause, also known as a subordinate clause, can’t stand on its own. A simple sentence consists of two parts, a subject and a verb or verb phrase. The verb or verb phrase is called a predicate. A compound sentence joins two or more simple sentences together. A complex sentence contains both an independent clause and a subordinate clause. → Simple sentences: Simon barbecued a fish. Simon barbecued a fish and served it to his guests. → Compound sentence: Simon barbecued a fish, and he served it to his guests. → Complex sentence: After Simon barbecued a fish, he served it to his guests. To use commas effectively, it’s useful to be able to identify these elements, especially subjects and predicates. Okay, now on to commas. 1. Use a comma in a compound sentence. This is where two simple sentences (each with a subject and a verb) are joined by for, and, nor, but, or, yet, so. These are called coordinating conjunctions, and their initial letters spell FANBOYS, a long-acknowledged mnemonic to remember them by. → Simon bought a fish, and he barbecued it for dinner. → Simon bought a fish, for he didn’t eat meat. → Simon bought a fish, but he didn’t buy any meat. → Simon bought a fish, yet he had four at home in the freezer. → Simon did not buy fish, nor did he buy meat. You get the idea: two independent clauses (complete sentences, each with a subject and verb), are joined with one of the FANBOYS, with a comma preceding it. Don’t use commas to join two independent clauses without using a conjunction. This results in the much-reviled comma splice. 2. No comma is needed in simple sentences with one subject and two predicates. A lot of people get hung up on compound predicates. No comma is needed if the second predicate has no subject. It’s simple: if there’s no subject in the second part of the sentence, you don’t need the comma. Compare the following examples with those in #1 above. Above, each independent clause has a subject. Here, there’s only one initial subject, so no comma is needed. → Simon bought a fish and barbecued it for dinner. → Simon bought a fish but didn’t buy any meat. → Simon bought a fish yet had four at home in the freezer. → Simon bought neither fish nor meat. → Simon, who didn’t eat meat, bought a fish, and he barbecued it for dinner. → Simon bought a fish, and, after marinating it, he barbecued it for dinner. → In attendance were my two brothers, the doctor and the painter. → In attendance were my two brothers, the doctor, and the painter. The first sentence suggests my brothers are the doctor and the painter. The second suggests four people were in attendance—my two brothers and a doctor and a painter. You can see how the omission of the serial comma results in a lack of clarity in the first sentence. Decide whether you prefer the serial comma or not, and try to be consistent with your usage. Some editors don’t think consistency is important on this issue, and I’m okay with that too. Clarity is what’s most important. 6. When a word, phrase, or subordinate clause falls at the beginning of a sentence, a comma should follow it. If the word, phrase, or subordinate clause comes at the end of a sentence, no comma need precede it. There will always be exceptions, but let your editor worry about those. → During the symphony, Carlotta’s nose began to bleed. → Carlotta’s nose began to bleed during the symphony. → Next, I’m going to finish my assignment. → I’m going to finish my assignment next. → As we were heading out, a thunderstorm shook the air. → A thunderstorm shook the air as we were heading out. → To win the most important race of his career, Damian nearly killed himself. → Damian nearly killed himself to win the most important race of his career. 7. Use a comma to offset yes and no, words of direct address, interjections, and tag questions. → Yes, the editor did make a good point. → No, that will never work. → Ellie, would you like to go to the symphony tonight? → With due respect, sir, your manners have left you. → Oh, I never thought I could do it. → Well, maybe I’ll give it a try. → Simon will barbecue fish tonight, won’t he? → Carlotta should be recovered by now, shouldn’t she? → The Russo-Turkish war fought from Tuesday, April 24, 1877, to Sunday, March 3, 1878, cost thousands of lives. → The upgrades to our facilities in Vancouver, British Columbia, and Houston, Texas, will greatly improve productivity. → The population of Garden City, Long Island, New York, is 24,000. → “Knowledge is power,” wrote Francis Bacon. Don’t use a comma if dialogue or a quotation ends with a question mark or exclamation point. → “We’ve got to get out of here!” said Gwendolyn. → “How can we escape?” Brenda asked in alarm. 10. How to use commas between multiple descriptive adjectives preceding a noun. When more than one descriptive adjective precedes a noun, confusion often arises over whether commas should separate them. For example, why are commas needed in the second sentence here but not the first? → The new immigrant employees were given awards of merit. → Brenda is an intelligent, productive employee. There are two ways to look at this. One is to look at cumulative vs. coordinate adjectives. Cumulative adjectives build on each other (or accumulate) and need no commas. In the first example above, the adjectives are cumulative: immigrant describes employees, while new describes the unit immigrant employees. In contrast, coordinate adjectives, which require commas, each carry the same weight, and they can be rearranged without sounding awkward. Another trick is to see whether you can replace the comma with the word and without the phrase sounding awkward. → Awkward (not interchangeable): The immigrant new employees were given awards of merit. → Awkward (the “and” trick doesn’t work here): The new and immigrant employees were given awards of merit. → Correct (interchangeable): Brenda is a productive, intelligent employee. → Correct (the “and” trick works here): Brenda is an intelligent and productive employee. The order of multiple adjectives is another way to look at this. Multiple adjectives are often classed in a particular order. Caveat: these are not exact rules. Some sources differ slightly on this order, there are exceptions, and there’s a good deal more to be examined in this concept than I’ve written here. Many adjectives fall into the “general” category. Because those are all of the same class, they’re interchangeable, and they need commas between them. If others follow from different classes, they don’t need commas, but they should go in the above order. The following are examples; keep in mind that in reality, more than two or three adjectives sounds awkward. → We love our intelligent, quirky, temperamental tiny black Pekinese puppy. → I bought a beautiful, soft long red Italian silk tie. → My sister, Simona, who was the guest of honour, usually ate only fish, but, ever the picky eater, she turned up her nose at the savoury salmon Simon had prepared. → My sister Simona, who was the guest of honour, usually ate only fish, but ever the picky eater, she turned up her nose at the savoury salmon Simon had prepared. There are other uses for commas, and plenty of exceptions exist. No question about it, commas can be complicated. But my challenge was to write a blog post in about 2,000 words about common comma usage that wouldn’t put you in a comma coma. 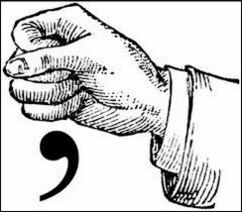 Leave a comment if you’ve ever suffered from comma trauma, and if you’ve got a specific sentence or usage problem, I’ll be happy to work it out for you. I prefer the use of Oxford commas too. I prefer the use of Oxford commas, too. Great stuff, thank you for sharing, Arlene. Now you have me all self-conscious about comma usage in my comment. I love your blog! Thanks, Rashad! No need to be self-conscious (I know you really aren’t because your writing is so good). Blogging, at least with in-depth articles like this, is hard work, and it’s just lovely to be appreciated. Nice tips! I tend to “over comma” and then strike half of them in editing. This will help the next time I plunk myself down to write. Thanks for taking the time to comment, Michael. Yes, I tend to overcomma too (love that word! ), so I usually go back and edit some of them out after I’ve written my initial draft. I try to remove the commas with the least weight, where their removal will have the least effect on the grammatical structure of the sentence. Great article, Arlene. One I will keep by my side as I edit. Wonderful, Darlene. That makes my day! Demystifying is exactly what you’ve done here, Arlene. I especially appreciate your making such clear sense about the use of multiple descriptive adjectives that precede nouns. The category breakdown has been more helpful than anything I’ve come across. All ten points covering comma usage are an excellent instant reference. And now I even fully understand why I didn’t use a comma between excellent and instant. What a lovely quote from Lynne Truss, Irene. I’m going to look that up right now. I’d entirely forgotten that I have her book at home, or I might have consulted it for this blog post. And I’m just delighted you found the order of multiple adjectives categories useful. I remember being really surprised and delighted when I first discovered there was actually a semi-prescribed order to adjectives. The order isn’t set in stone, and one should always “listen” to how the adjectives sound in their particular order, but these categories can generally be very helpful. This is yet another blog post of yours that will go up on my bulletin board for easy reference! You’ve really simplified a confusing topic for editors and writers alike. Like Irene, I love the adjective order chart and have been using one of these for editing. Where mine differs from yours very slightly is that there are additional categories before opinion: sequence word, which includes words like “first” and “latest,” and quantifier, which includes words like “many” and “quite.” When adjectives are out of the order that you outline in your post, it can often sound peculiar. Thanks for your comment, Caroline. Yes, I’ve seen charts with those extra adjectives, and I thought about adding them. I just didn’t want to make things too complicated. Thanks for pointing those out! Mickey, thanks so much for your comment. Saving this post to your phone to have an instant resource just makes my heart sing! I’m so glad you’ve found it useful, and I hope it alleviates future comma trauma for you. 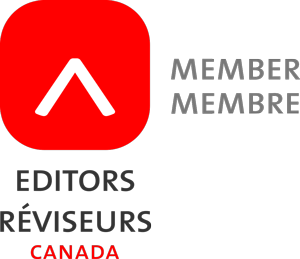 And yes, it’s one of the grand truths of editing (or proofreading) that we can easily find errors in others’ writing, but we often make or miss errors in our own writing. Which is why, of course, editors need editors as much as anyone else. Wonderful and most helpful article! Thank you, Arlene. I wished I’d read it some time ago. It would have helped answer many of my questions. I do have one left, though. How about the comma use in a sentence like this: “He graduated from the University of California, Irvine, and earns his living as an engineer.” Is the comma needed after Irvine, as with regular places? Thanks, Arlene. Thanks for joining the discussion, Jim. Yes, that example would be handled just like regular places, and you do need a comma after Irvine. Brilliant article on a tricky subject. Thanks so much for writing this, Arlene! Thanks, Sophie. That’s a high compliment, coming from you! Although the following explanation might be plausible. There are peculiar typographical reasons why the period and comma go inside the quotation mark in the United States. The following explanation has been forwarded “In the days when printing used raised bits of metal, “.” and “,” were the most delicate, and were in danger of damage (the face of the piece of type might break off from the body, or be bent or dented from above) if they had a ‘”‘ on one side and a blank space on the other. Hence the convention arose of always using ‘.”‘ and ‘,”‘ rather than ‘”.’ and ‘”,’, regardless of logic.” This seems to be an argument to return to something more logical, but there is little impetus to do so within the United States. Thank you for your comment, Peter. That is fascinating! I’d never heard of that explanation. Unfortunately, as you say, I don’t think period and comma “rules” when it comes to quotation marks are going to change anytime soon — the convention is too set in stone here in North America. Please no … I’m finally putting them inside, going back to what is a mistake over here would me nuts. Interesting bit of information, Peter. I’d never heard that before. Thanks, I’m helping another writer with a chapter and damn, she’s putting them all over the place. Whoever told people to put a comma in where you pause needs to be SHOT. A comma in a sentence when read or spoken out loud; yes there is a pause. But, taking this literately as to where they are to be placed is just stupid. We need to get through to people this myth has to stop. Schools to teach this bulk, and then those people go on to teach other this. Arrg.